16 – Seaside Arts Council Evening with Ginger Garner – Dinner and Jazz Concert 6 pm; $30 More info. 11 – EMERALD ISLE, NC WORKSHOP (FREE) – Caring Economics Leadership Conversation Event. 7-8:30 pm. Contact Ginger for more information. 7, 8, and 9 – NORTH CAROLINA CE TOUR – CITIES TBA. Clinical Update on Convention and Integrative Techniques in Prenatal and Postpartum Care. 6 CE Earned. North Carolina dates TBA soon. Sponsored by Summit Education. 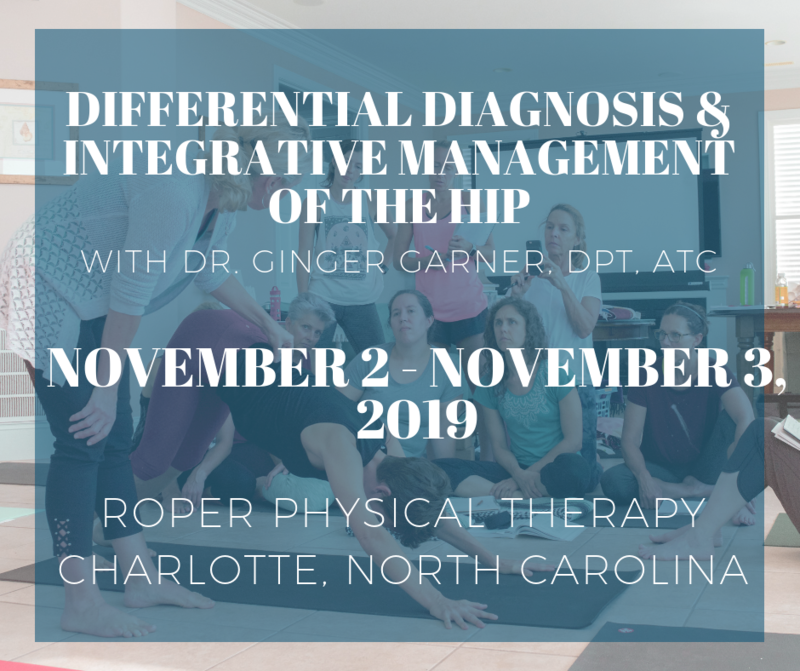 14 – RALEIGH, NC CE WORKSHOP – Medical Therapeutic Yoga for Low Back Pain. Athletic Performance Center, Raleigh, NC. Presented by Allied Health Education. 21-22 – GREENVILLE, SC. CE WORKSHOP. Yoga as Medicine for Pregnancy – Herman and Wallace Pelvic Rehabilitation Institute.